What is a MROC? And Why Should I Care? What types of Market Research Online Communities (MROC) are there? Market Research Online Communities (MROC) are communities of brand or activity advocates that are proprietary in nature. That is, these MROCs are assembled or convened by a company or a market research service provider. Companies can send surveys to these MROCs. Businesses can engage MROCs in discussions. 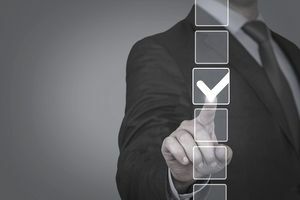 Social media managers and analysts can crowd-source decision-making through their connections with MROCs. Ongoing - Branded communities that are convened with the understanding that they will continue for the long-term, even though the project may change over time. Ad Hoc - Instant communities that are assembled for the short-term to focus on a specific project and are disbanded when the objectives are met and the project ends. What factors contributed to the development of MROCs? These challenges are more or less being addressed by new methods and technology, many of which operate as a result of digital environments. One of these new developments is the MROC. Much of the structure and intent of traditional approaches continue to exist in new methodologies. For instance, surveys and discussions are still conducted in the new market research, but they are accomplished online and on mobile digital devices. These MROCs designed for the long-term are excellent platforms for quick-turnaround responses to specific questions, particularly for those "daisy" issues that suddenly pop up. They also function well for brand-building and exposing innovation to crowd-sourcing. With a particular target market the focus, branded MROCs can be used by market researchers to learn more about consumer attitudes, sentiments, and interests. A typical approach would be a sort of stream-of-consciousness project that is only manageable with a specific and constant target market. An important aside is the importance of recognizing that the survey data derived from an MROC is qualitative data, not quantitative data. Is easy for non-researchers to mistake survey data as quantitative because there may be many responses and the questions are often reported through the use of numbered scales. Full-scale, branded MROCs are expensive to create and maintain. An ongoing, branded MROC can be effectively used to collect longitudinal data that requires a continuous stream of data. For this type of effort to be effectively maintained, an organization or company would need to be able to invest in dedicated staff who can oversee the fidelity of community management. Short-term MROCs tend to fun and active forums with diverse participants, and they may have much in common, as no one labors over the recruitment process. Since they are easy and quick to set up, these ad hoc MROCs also tend to be cost-effective . The type of research objectives that interface well with these instant MROCs include concept testing, useability questions, open-ended reactions to a limited set of stimuli. Moreover, the use of physical stimuli is a problem since digitally transmitted imagery is the rule, and it is not always sufficient for solid research outcomes. Body language and tone of voice are not typically part of the ad hoc formula, even when the techniques are not completely asynchronous. Also, a primary criterion of the research objectives is that they not be complicated, and they would lend themselves to traditional research methods if cost and time were not issues. Freund, N. M (2013, May) Guideposts for a Fresh Path: Thoughts on Using the New Online Qualitative Tools, Quirk's Marketing Research Review.